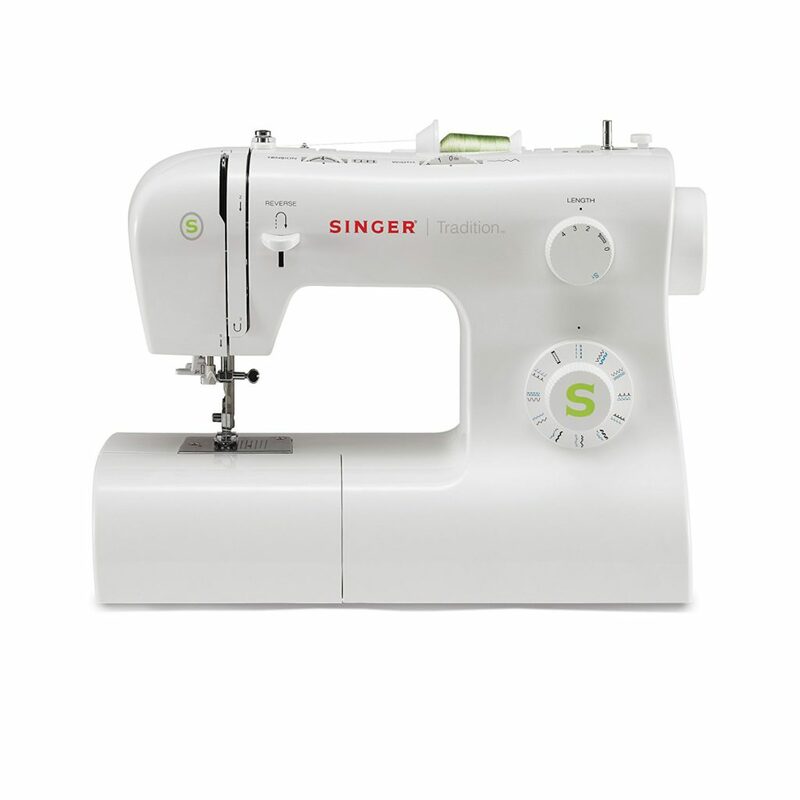 Perfect for users who are on a limited budget, the Singer 2277 Tradition Sewing Machine with Automatic Needle Threader only costs between $100 and $150 which is quite surprising considering its extended range of features and functions. Not only that, but this particular model comes with the added advantage of being extremely easy to navigate through- hence making it ideal for beginners. For this reason, it is commonly used in sewing classes. This machine is designed with user-friendliness in mind, thus it comes with handy functions such as an automatic needle threader, adjustable stitch width and length, automatic one-step buttonhole and other similar options. 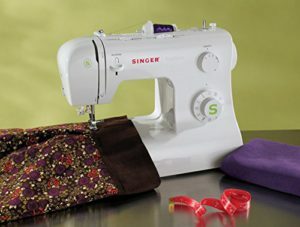 Like most Singer models, this sewing machine can sustain heavy-duty use and even boasts of a scratch-resistant surface. 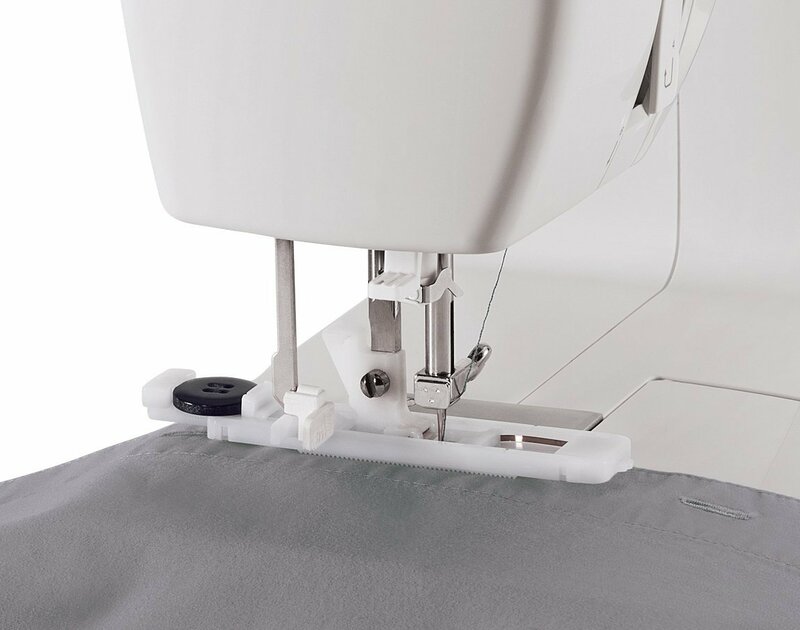 This item is also full mechanical, which makes it even easier for you to navigate through- which once again makes it perfect for users who are just taking their first steps in the world of home sewing. All in all this is a great starter model, however, like with any other sewing machine, a few drawbacks have been reported. For example, a couple of users did find it problematic to use the tension settings and found that the tension often resulted in jammed stitches. However, most users were satisfied and reported no such problem. Another problem that was reported by some users was related to the work table: while most beginners had no issues with the average-size table, some claimed that they found it difficult to quilt or work on their embroidery because of lack of space. The Singer Tradition 2277 weighs 13.6 pounds, which makes it quite portable. Its weight can actually come in quite handy to people who need to carry their machine back and forth to sewing classes. 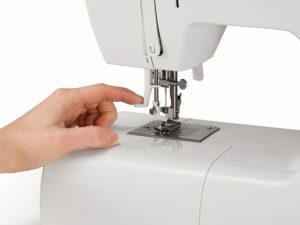 In fact, you won’t even have to worry about finding a wide enough space to accommodate your sewing machine: since it measures 15 x 6.2 x 12 inches, the apparatus can fit on just about any table. While it is relatively lightweight, the item does not move during the sewing process. By this token, sewers will undoubtedly benefit from extremely even and professional-quality stitches with minimal effort. Unlike computerized machines, the Singer 2277 is completely mechanical, which consequently allows you to very easily find your way through the different features- regardless of your level of expertise. Therefore, instead of trying to digitally switch through the various options, you can simply push down on a lever or press on a button to activate your function. It comes with 23 built-in stitch designs to provide you with more variety in your sewing session. Contrary to popular belief, however, it’s extremely easy to switch between stitches: all you need to do is adjust the dial knob until you land on the stitch design of your choice. If you are an elderly user, suffer from poor eyesight or simply want to enjoy a hassle-free sewing experience, you will be glad to learn that the 2277 also comes with an automatic threading feature to take care of his particularly tedious task for you: all sewers have to do is pull down on a lever to automatically push the thread through the eye of the needle; a chore which the machine takes less than six minutes to complete. The 23 stitch designs include six essential, seven stretch and nine decorative stitches. With this machine, you will also be able to benefit from additional features such as a higher-than-average presser foot lifter which provides you with additional clearance when you want to work with several layers of fabric. This is also helpful for thicker fabrics like denim or leather. The machine also comes with a built-in storage box which includes several accessories designed to facilitate your sewing. These include buttonhole sewing, all-purpose and buttonhole foot, bobbins, extra needles, darning plate, thread spool cap, L-screwdriver, foot pedal, power cord, lint brush and other such items. The automatic bobbin winding is also designed to enhance your safety by disengaging while you’re trying to wind the bobbin. The four-segment feed dog system is also designed to provide sewers with a more accurate angle to pick up the fabric. The Singer 2277 even comes with several needle positions, which can be quite a useful feature for lengthy sewing sessions. Its price combined with its ease of use and features certainly make this machine quite a recommended buy. In fact, for the same price you’ll get 4 more stitch designs than with the older model Singer 2259. It is also a good alternative to the popular Brother XL2610. If, however, you’re looking for a more advanced model, you can check our top best sewing machine reviews.